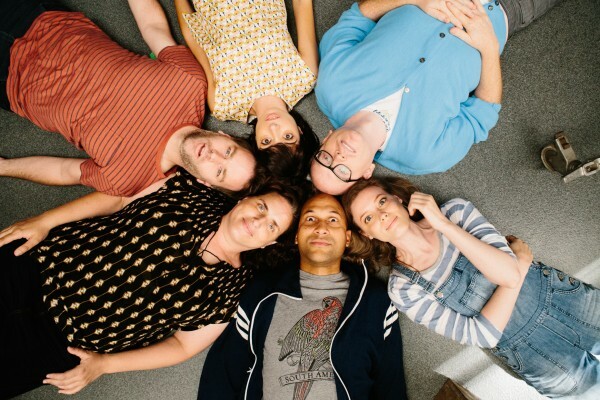 Mike Birbiglia’s new film, Don’t Think Twice, tells the story of an improv troupe whose time together comes to an end due to a number of external forces. The film premiered last Friday in New York and proved to be a huge box office success. To promote the Los Angeles premiere, Joel Murphy was invited to a press luncheon featuring Mike Birbiglia, Kate Micucci and Keegan-Michael Key. The three stars answered roundtable questions from the reporters in attendance. We bring that audio to you today. Murphy, who has done improv for the past four years, also shares his personal connection to the film. For the first time in 11 years, HoboTrashcan is asking for donations from readers. If you enjoy the site and can find it in your heart to donate, do so through the link below. We will use the money to expand the site, giving you more of the reviews, columns, podcasts and other features you love. Jonathan and Marty split up to interview their friends Kim (who is afraid of Ferris Wheels) and Gillian (who is not afraid of Ferris Wheels) and chat about the annual Artscape festival going on in Baltimore, MD. Cringes abound when Laura Wexler and Jessica Henkin dip into the Stoop Storytelling series archives for some of the most beautifully awkward stories of the series. Eric Leikus takes a class on minority relations. Matt Hayat teaches some fighting words. Joe Wall sleepwalks at summer camp. Learn more about the Stoop Storytelling Series at stoopstorytelling.com.